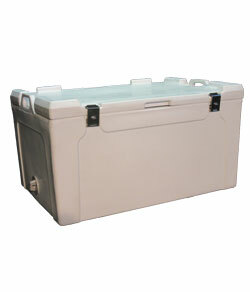 HADCO Agent Sales LLC offers two lines of sportsman coolers through its FishTotes.com division; the FWS & FWP Series. 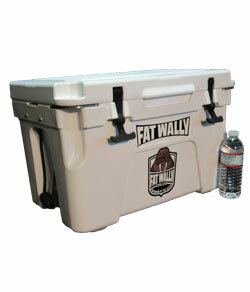 The FWS Series, FAT WALLY “Standard” line of coolers is manufactured by the Nilkamal company specifically for the fisherman and sportsman who want performance to also meet their budget. This FWS Series provides excellent cooler performance that won’t damage your wallet. Same double-wall PUR-Foam Core construction as all other fancy premium lines but without the polish. The “new” FWP Series, Fat Wally Premium line by FishTotes.com provides the polish to truly be called Premium. The “new” FWP line is specifically designed to meet FAT WALLY’S high-end requirements and your expectations from a superior cooler. This FWP Series rocks with outstanding ice retention performance, handsome looks and engineered features galore. The “new” FWP Series stands taller than any other high-end brand and after you‘ve reviewed the features and compared, you will like the price. Two excellent choices, Standard or Premium, you decide.